Get this valuable bag at an awesome price! This bag has room for all your bowling equipment and holds 1 bowling ball. I bought 2 bags for my grandkids,they are very well made,with lots of space. The 900Global Value 1 Ball Roller weighs about 8-9 pounds. Does anyone know the dimensions of this bag? And how long is the handle fully extended? Thanks! Hello Kim! This bag is 10 X 14 X 20 and the handle extends to 20 and 3/4ths inches. 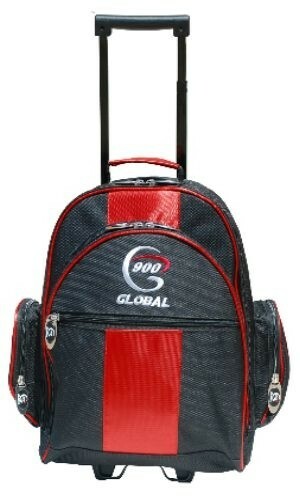 Due to the time it takes to produce the 900Global Value 1 Ball Roller Red/Black ball it will ship in immediately. We cannot ship this ball outside the United States.